Crazy orange man. President-to-be-man. Not normal man. Nazi-enabling man. Help us, man. I wrote this brief post in 60 seconds using oneword™, a website designed to provide the user with a timed writing prompt. While on that site, simply click “go” and one word appears with a text box. My word was “lunatic”. What was yours? 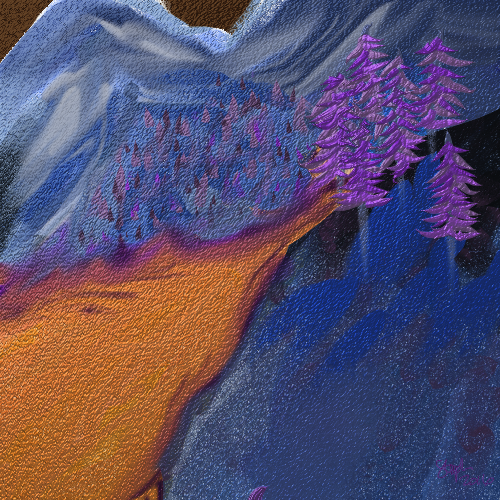 After I wrote the post, I created the image using ArtRage on my tablet. The image does not represent the written word. I could not bring myself to doodle the images that were running through my mind. I’m trying to stay positive. Rather the written word and the post paired together represent my concerns to our current political climate.